. Published on Sunday, September 25, 2016 . The start of the new school year has finally arrived and we honestly just can’t right now. In preparation of this, we’ve compiled a back-to-school guide to ensure a seamless transition from summer to fall—as told by “Stranger Things”. Grab some Eggos and crank up The Clash while you peruse this guide. Wake up a tiny bit earlier to allow time for breakfast. Brew yourself a nice cup of Joe or grab it to go at the nearest coffee shop before starting your day. After all, mornings were made for coffee and contemplation. You’ll never know when you’ll need extra-strength Aspirin after that late night cram session. Band-aids are also must-haves in case you cut your finger and unintentionally summon a monster that abducts you while your bestie is making out to an ’80s track. Neatly organize your study space and add personal touches for inspiration! Whether it be inspiring quotes, Polaroids of friends, Christmas lights to create a giant Ouija board on the wall or the shape of a terrifying demon monster with no face protruding from your wallpaper, better work results will be maximized from an organized, inspirational workplace. This tactic will eliminate the stress of anxiously searching for where you’re supposed to be during those already-chaotic first days. Track down where all the buildings your classes will be in and perhaps one of the science labs will contain a gross, gooey portal that’ll lead you to another world filled with water and darkness inhabited by a monster. Pack hazmat suits in your backpacks. Whether it be the library, Solaris Lounge in the Bronco Student Center (BSC, Bldg. 35) or a nice hollow tree at University Park that doubles as a portal to the upside down where a no face monster runs amok, map out the best place for those study or nap sessions. Consistently buying food on campus may be convenient, but the cost of food ultimately adds up, which means that it won’t be so pretty for your college budget. Make it a habit to stock up on prepared lunches to bring to class, whether it be sandwiches, fruit, the perennial ramen cup noodles or Eggos. Make it a point to enjoy one last visit to the poolside lounge or swim in the pool before summer truly comes to a close. Put on some sunscreen while you try to communicate with a friend you thought was dead but in actuality, is stuck in another horrifying upside world. Your schedules will soon be filled with assignments, exams, work, internships or whatever life forces that demand your undivided attention once the quarter begins, so enjoy one last R&R session. Compile all necessary back-to-school essentials: notebooks, writing utensils, planners to stay organized, animal traps and baseball bats to fight off a monster whose face is composed mostly of teeth and of course, a coffee or water tumbler to stay hydrated throughout those long days. How are you preparing for a new school year, Broncos? 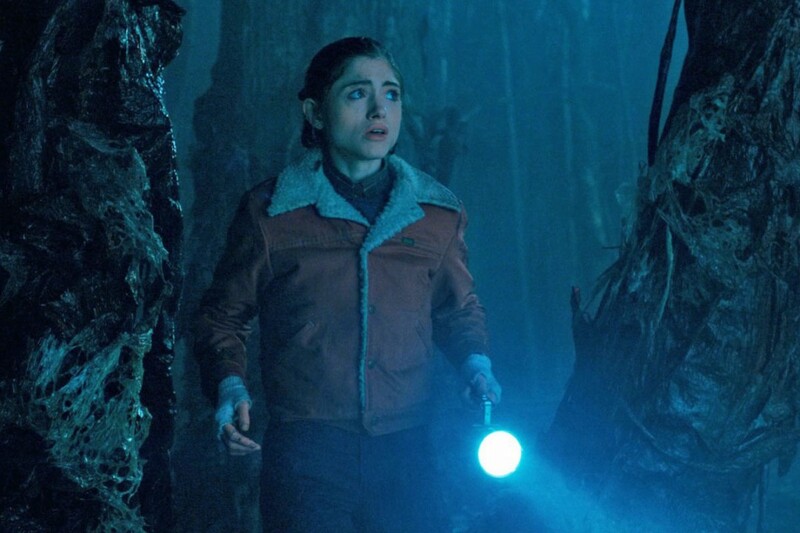 Have you added “Stranger Things” to your Netflix queues already? Share with us using the hashtag #CampusCropChat on Facebook, Twitter or Instagram, and be sure to follow us on Snapchat @ASICPP.